Puducherry, Jan 31: Backing Congress President Rahul Gandhi’s idea of "minimum income guarantee" for poor, Makkal Needhi Maiam founder Kamal Haasan on Wednesday said that Gandhi’s proposal was good but implementation would be very difficult. Speaking to media after the launch of Makkal Needhi Maiam’s Puducherry unit, the actor-turned-politician advised Congress President to chalk-out proper action plan for his dream flagship scheme. On this occasion, the award-winning actor also welcomed Priyanka Gandhi Vadra’s entry into active politics and extended best wishes for her new assignment. 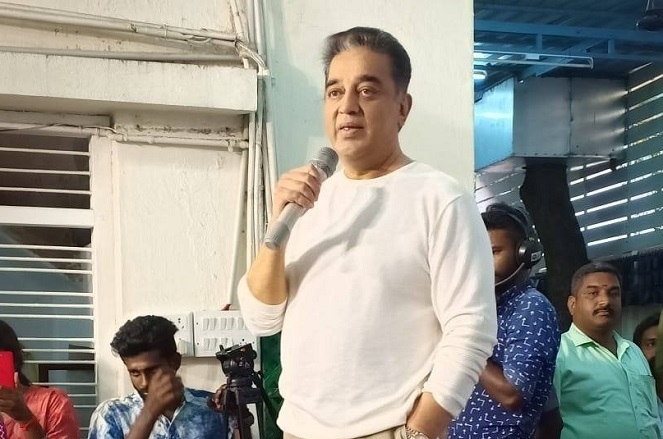 Exuding confidence on the local leadership of Makkal Needhi Maiam, Kamal announced that his party will defiantly contest Puducherry assembly polls. When asked about the ongoing debate on Ram temple, MMK Chief stated that under any condition peace and harmony should be maintained. Talking about upcoming general elections, Kamal said MNM apex body will take the final call on poll strategy and probable poll tie-ups with likeminded members. Earlier, the Makkal Needhi Maiam made it clear that his newly launched party would contest all the Lok Sabha seat in Tamil Nadu.